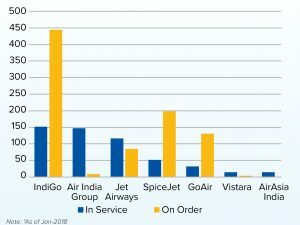 India’s airlines are expected to induct an unprecedented 124-130 aircraft in FY2018/2019, with IndiGo accounting for close to half of this number, according to CAPA estimates on South Asia Aviation Outlook 2018. All Indian LCCs, except AirAsia India, are profitable, and are expected to report a combined profit of USD450 million to USD500 million. In contrast, FSCs are projected to lose USD825 million to USD850 million, although most of this is accounted for by Air India. Vistara is also loss making, while Jet Airways will either report a modest profit or be closer to break even. In 2018, Jet Airways is expected to place an additional order for 75 narrowbodies and to make a decision on its wide body plans, including the 10 787s on order that it has repeatedly deferred. Vistara will likely order 50 narrowbodies, together with a modest initial order for less than 10 widebodies, which may increase later. IndiGo and SpiceJet could place orders to support international expansion, including widebodies, and we do not rule out the possibility of a turboprop order by GoAir. 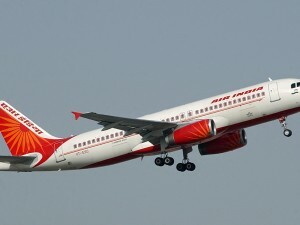 Air India’s fleet plans are currently on hold pending its proposed privatisation. According to the Swedish Agency for Economic and Regional Growth, the number of bednights by Indians in Sweden in 2016 was 175088 nights which went up to 216058 nights in 2017, a 23 per cent increase from the previous year. Michael Persson Gripkow, Chief Brand & Communications Officer, VisitSweden says, “We have noticed a rise in ‘bleisure’ travel trend. In addition, according to Statistics Sweden, 17,000 Indian passport holders resides in Sweden today. This along with other factors has led to an increase in tourism from India.” Today more than 170 Swedish companies are registered in India among the likes of Ericsson, Volvo, H&M, Scania, DeLaval, Tetrapak and the latest entrant being global home furnishings giant IKEA. This growing bridge between India and Sweden has impacted tourism positively. Ruth Dolla, Project Manager – India, VisitSweden adds, “We look forward to further growth this year. Air India’s direct flight from Delhi to Stockholm completed one year since its first flight in August 2017 and continues to bring incoming traffic from India to Sweden.” In addition more and more airlines are launching new routes to Sweden. Qatar Airways is slated to launch a direct flight in December 2018 from Doha to Sweden’s second largest city – Gothenburg that will provide better connections to passengers from India. 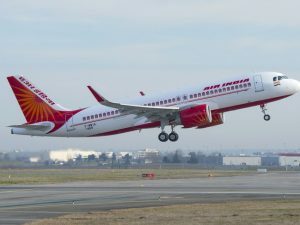 With an average load factor exceeding 80 per cent and the increased demand on Air India’s New Delhi-Tel Aviv flight services, the national carrier has added a fifth weekly flight starting November 26, 2018. The airline will now fly five days a week including Monday in addition to Tuesday, Thursday, Saturday and Sunday on the 256-seater Boeing 787 Dreamliner. The aircraft departs from New Delhi at 16:50 pm and arrives in Tel Aviv at 20:45 pm (local time). On its return leg, the flight departs from Tel Aviv at 22:15 pm and lands in Delhi on the following day at 8:15 am. In addition to Air India’s announcement, Israeli carrier El Al has introduced a new Boeing 777-200ER aircraft on its Mumbai-Tel Aviv route. The new airplane has a capacity of 279 seats in a four-class configuration of First, Business, Economy Plus and Economy. El Al is the only airline currently servicing the direct Mumbai-Tel Aviv sector with three weekly non-stop flights. The aircraft departs at 12:20 pm every Sunday, Monday and Thursday from Mumbai and arrives in Tel Aviv at 16:50 pm (local time). On its return leg, the plane departs from Tel Aviv at 20:15 pm every Saturday and Sunday to land in Mumbai on the following day at 7:30 am. On Thursdays, the flight takes off at 8:30 am from Tel Aviv to reach Mumbai at 19:45 pm. 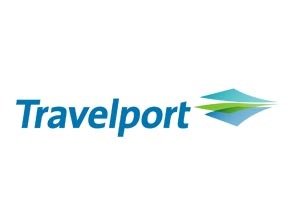 These announcements have come at a time when Israel Ministry of Tourism has recorded a growth of 58 per cent with 48,800 Indian arrivals to the country from January to September 2018 vis-à-vis 30,800 Indian visitors during the same period in 2016.